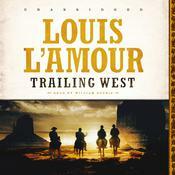 In the first in this trio of Western stories by Louis L’Amour—“Black Rock”—Jim Gatlin, a Texas trail driver, arrives in the town of Tucker where he finds himself quickly drawn into the middle of an all-out battle for the XY Ranch when, due to a case of mistaken identity, he kills the segundo of Wing Cary’s Flying C Ranch. 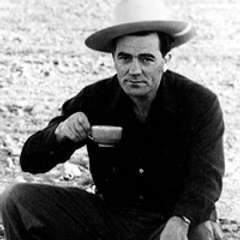 Gatlin is a dead-ringer for Jim Walker, who, like Cary, wants control of the XY. 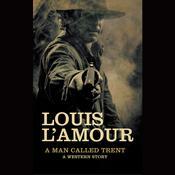 Gatlin is thrown into a situation in which all he can do but fight for his life. 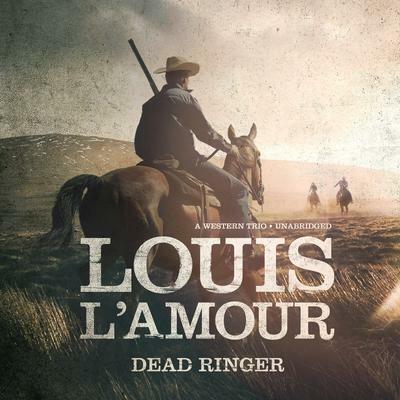 Seventeen-year-old Shandy Gamble in “Gamble of the KT” is in Perigord with plans to buy a new saddle and bridle with the $500 in reward money he had received for catching two horse thieves, but instead he gets conned out of the money. He returns to the KT Ranch never mentioning what happened. But when he learns the con man is back and hanging out with the June gang, he decides it’s time to get his money back and even the score. Always a fighting man, both for the US Army and in battles across the ocean, Tom Kedrick in “Showdown Trail” has been hired to help run off the squatters and outlaws occupying a strip of land claimed to be unusable swamp. When he learns that he is being misled by his new bosses and that the squatters are honest and hardworking settlers, including one of his father’s old friends, he has to determine which side he will fight for. 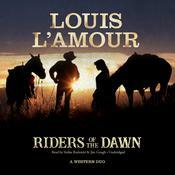 Louis L’Amour is the most decorated author in the history of American letters, and his stories are loved the world over. 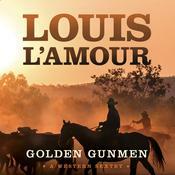 Louis L’Amour (1908–1988) was an American author whose Western stories are loved the world over. Born in Jamestown, North Dakota, he was the most decorated author in the history of American letters. In 1982 he was the first American author ever to be awarded a Special National Gold Medal by the United States Congress for lifetime literary achievement, and in 1984 President Reagan awarded him the Medal of Freedom, the highest civilian honor in the nation. He was also a recipient of the Theodore Roosevelt Rough Rider Award.